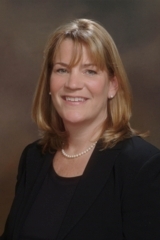 With over thirty years of experience in all aspects of residential real estate, Eileen has established a reputation as one of the most successful agents in the Brookline-Newton market. Born and raised in the area, Eileen’s clients and customers routinely benefit from her extensive knowledge of the community, and she has developed a very loyal following. Whether it is a condominium unit in Coolidge Corner, an estate residence in Brookline, or new construction in Newton, chances are good that Eileen is familiar with the property. Her knowledge, straightforward approach, understanding of the real estate market, and her focus on rendering a high level of service are a few of the reasons sellers and buyers seek Eileen out when considering a move. Wife of Kevin O’Boy and the mother of a daughter, Caroline, and a son, Kevin Michael, Eileen enjoys spending time with her family as well as reading, traveling, and running. Eileen has run the Boston Marathon for Dana Farber.